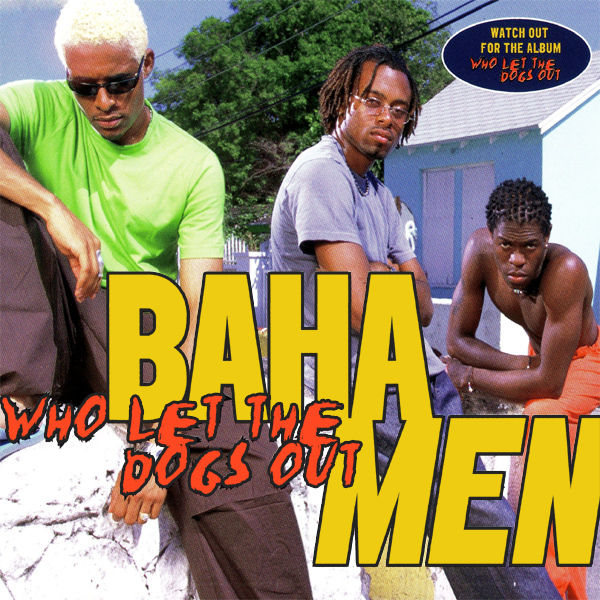 A song sung by rowdy revelers at many a party, Who Let The Dogs Out by the Baha Men is a staple of sad sorority and fraternity discos the nation over. The original artwork shows the men from the Bahamas that gave the band its name. The remix shows a naked babe hugging a big dog. Presumably he has chewed all her clothes off and should definitely be let out to sorority parties more often. Slobbery!